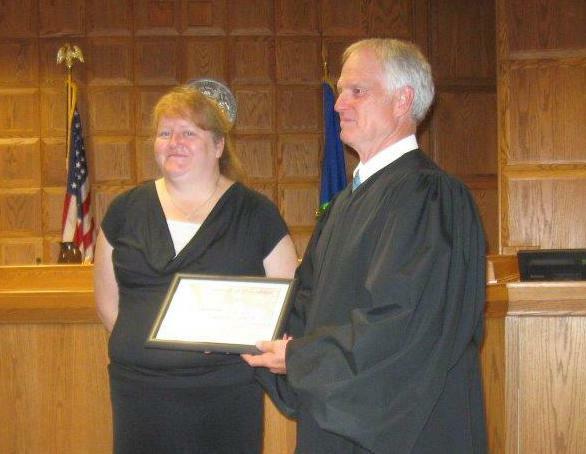 Outagamie County's first graduate of its Mental Health Diversion Court receives her certificate from Outagamie County judge Dee Dyer. Outagamie County marked the graduation of the first participant in its Mental Health Diversion Court program. The program is modeled on another court in Eau Claire County. Credit: Deneen Smith/Kenosha News Earlier this summer, Kenosha county's mental health court opened its doors, bringing the total number of mental health courts in Wisconsin up to three. Read the full story here. Reach out to your fellow advocates in these areas to learn about starting a mental health court in your county!